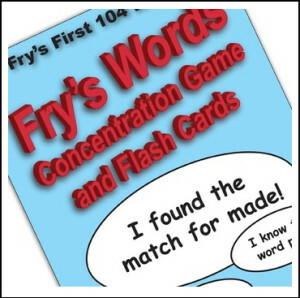 Fry’s first 104 high frequency words are included, as well as instructions on how to play the traditional game of concentration (or memory). Concentration is an engaging way to help kids gain exposure and practice with the words we use most often! These cards may also be used as flash cards! Plus I have other great materials in my store!